1 week has passed since I applied Pika Pika Rain PREMIUM. 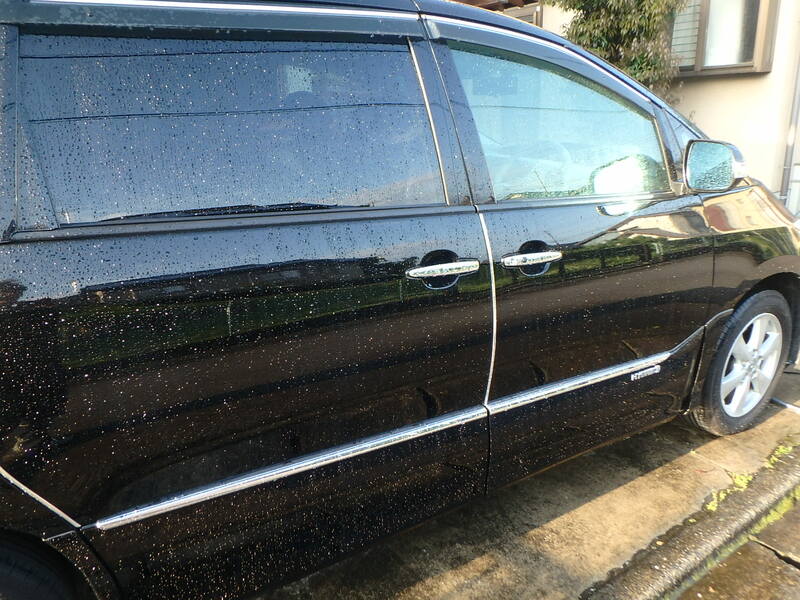 I tested the water repellency when it started to rain. 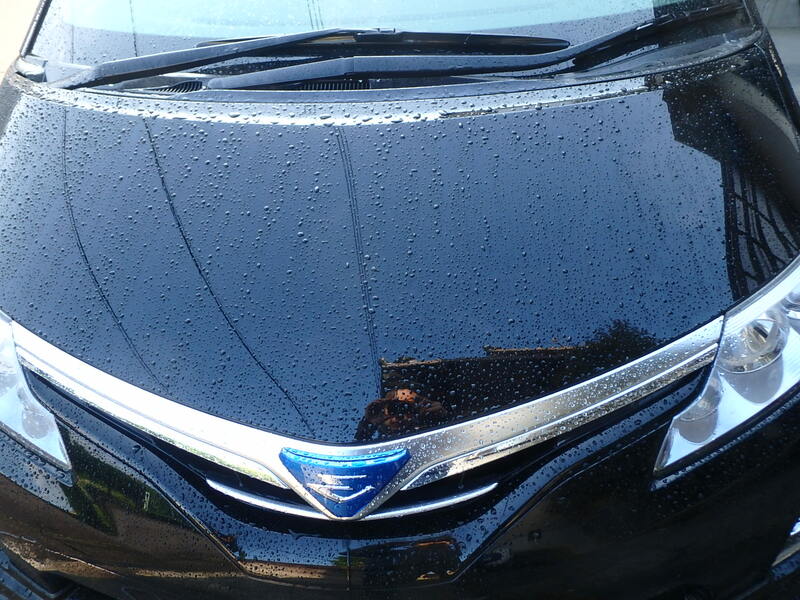 I was impressed by the amazing water repellency. 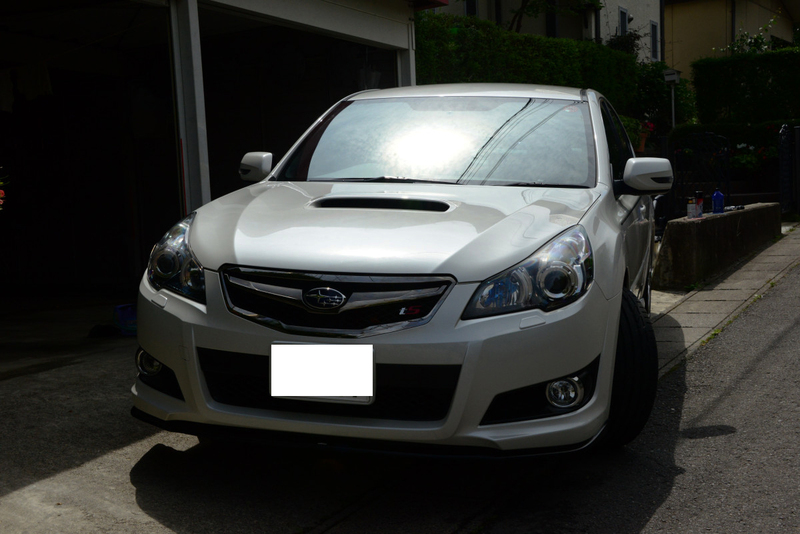 Especially, I did the preparation for the bonnet carefully, so the results made me happy. 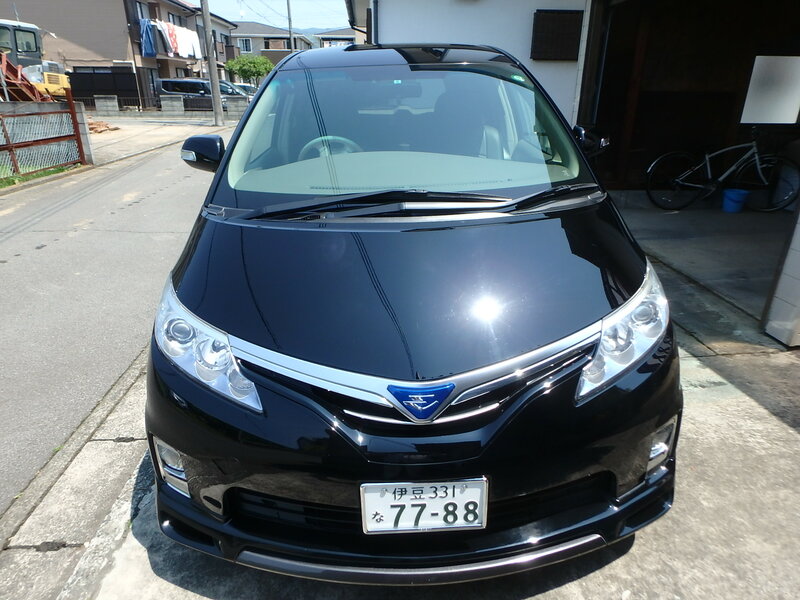 When I bought this car, I didn’t become attached to it due to a second-hand car. 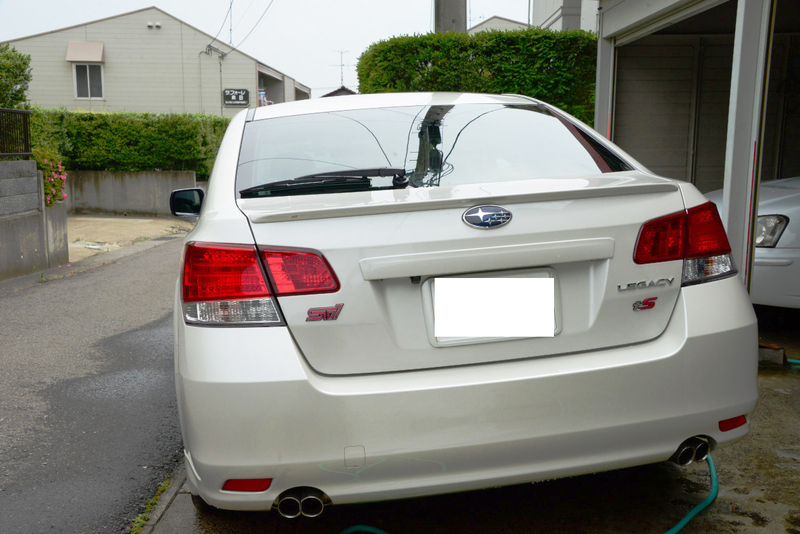 Then I hardly washed my car. 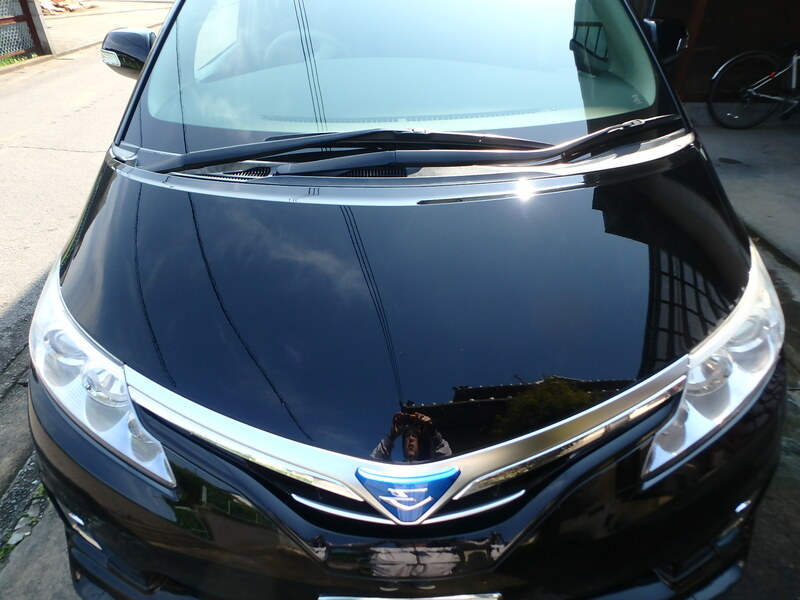 However, it could got back the gloss like a brand new car and I became attached to my car. 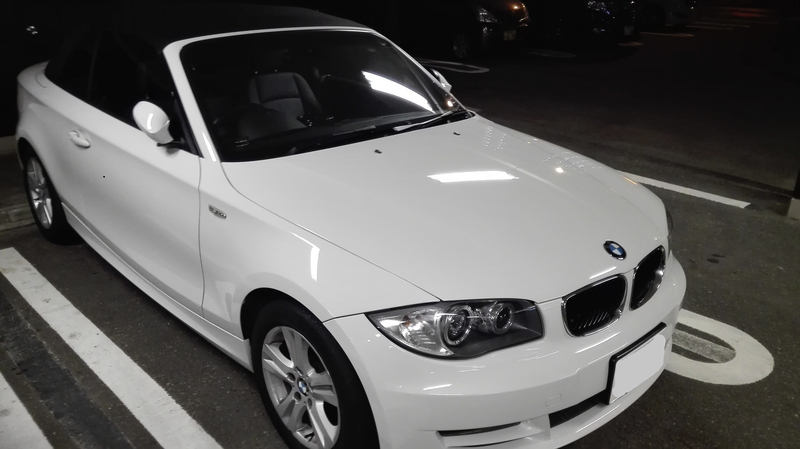 Taking this opportunity, I want to keep its shine by monthly car-care. I could finish around 1 hour even though it was my first time of applying. It is really amazing that I can get this gloss with only 10,000 JPY. I would like to tell about my review of using Pika Pika Rain PREMIUM. 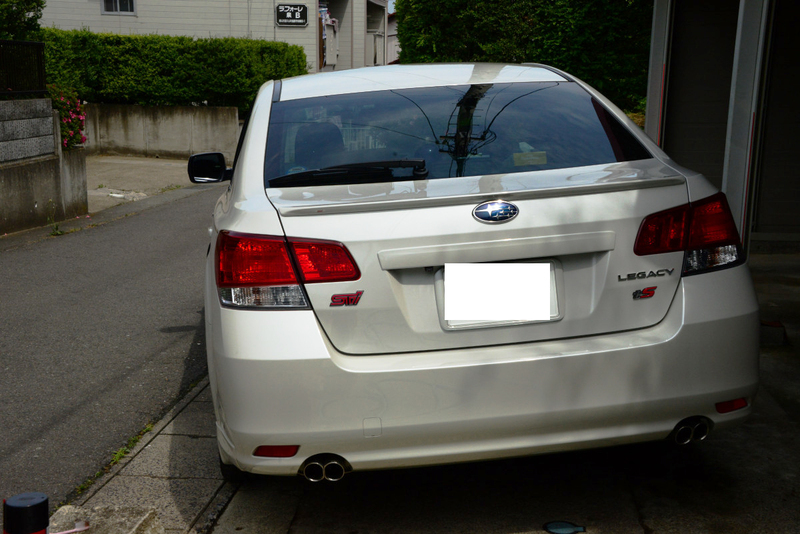 My car is SUBARU LEGASY B4 2500GTts 2010model. 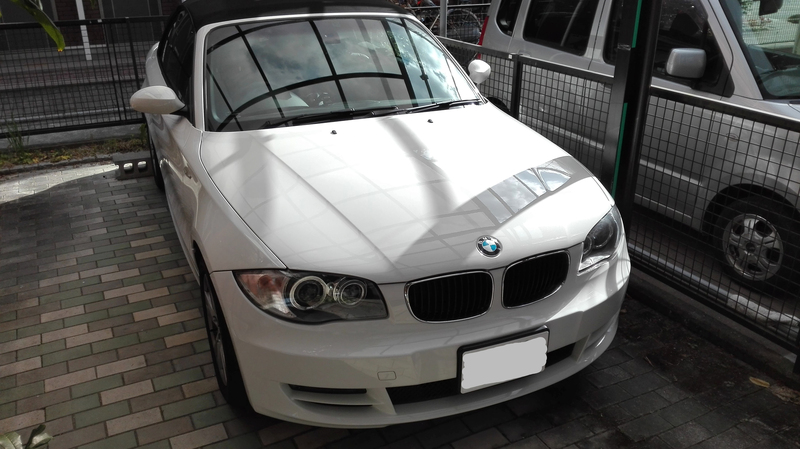 I used to apply glass-like coating from company S which is are major car wax manufacture. 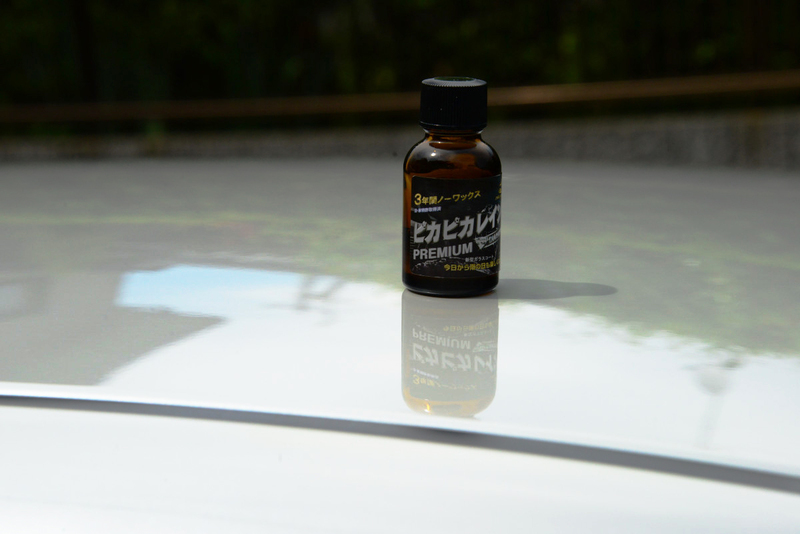 I made habitual use of this when my car was brand new, and its hydrophobic effect could lots for one and a half year. 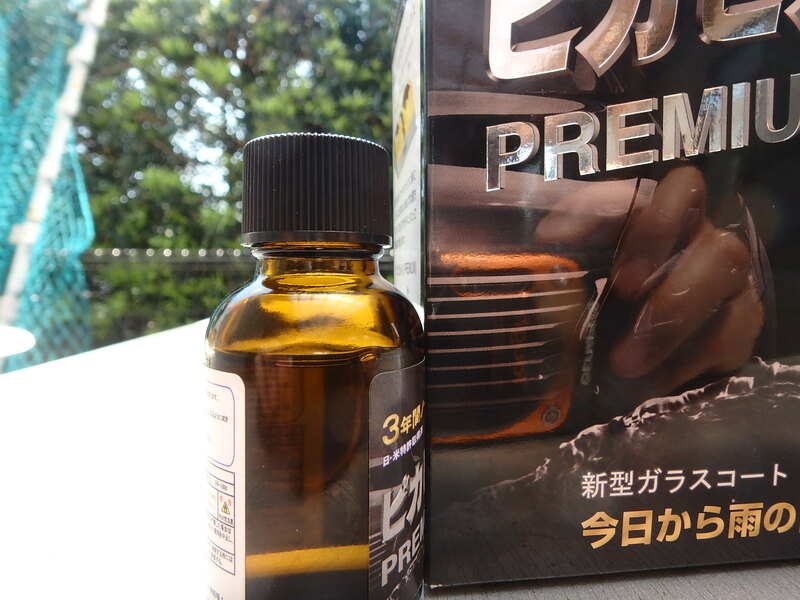 However, this product has a demerit which cures so quickly after I applied, so I applied and wiped a little by little. Finally, it doesn’t be made anymore. Then I was looking for something good and I knew Pika Pika Rain’s good reputations and bought it immediately. Pika Pika Rain PREMIUM was very easy to apply and wipe. before I applied. 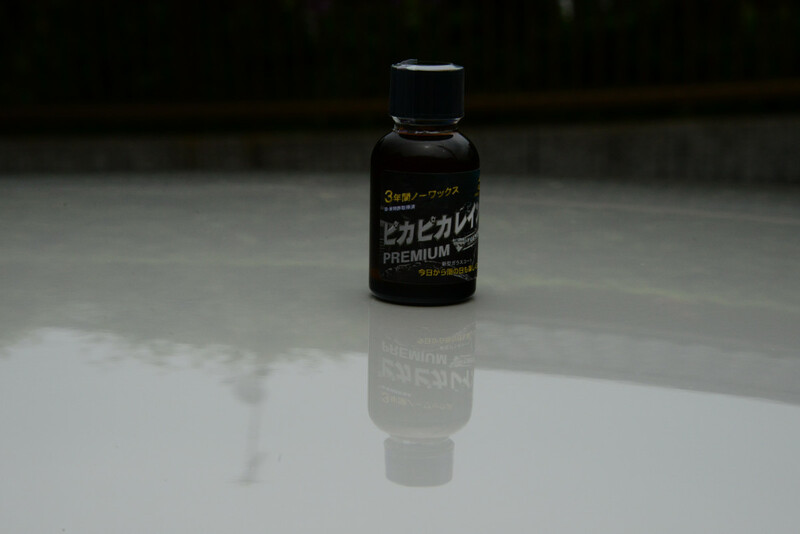 There was a big difference between Pika Pika Rain PREMIUM and the previous products I used. It spread very well, so one fifth of the bottle remained even though I applied it to whole a car. I took photos before and after the application, but it might be difficult to find the difference. However, when I touched the surface, I could find that it became smoother than before clearly. 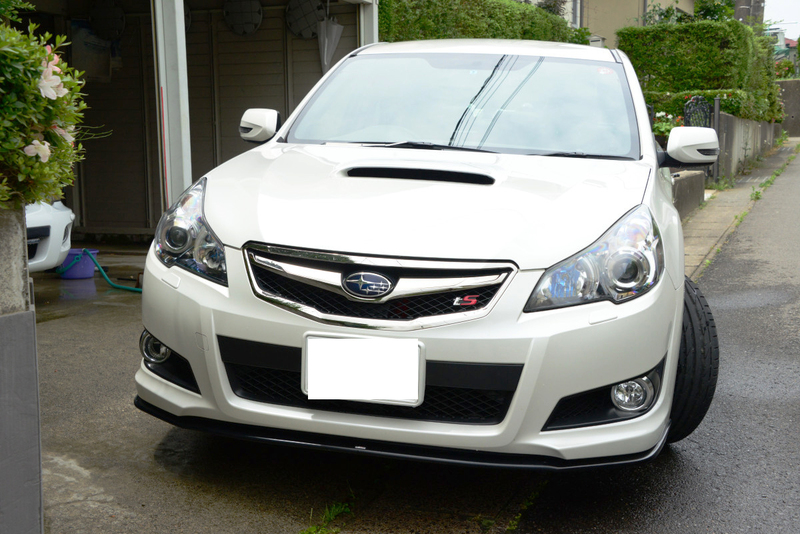 I’m looking forward to driving in rainy days and checking the results after 1 year and 2 years. so I want to check how Pika Pika Rain PREMIUM protect from snow and ice. I wanted to use this product when my car was brand new. 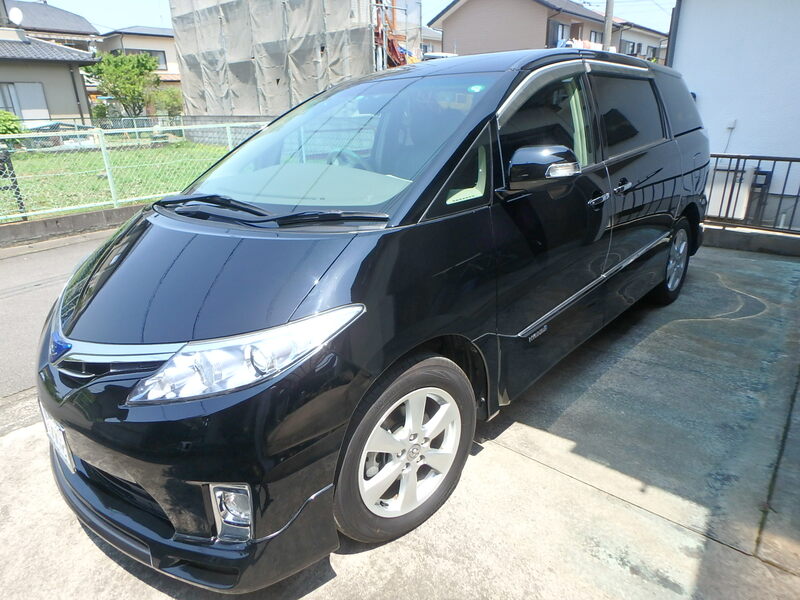 I hope that they will continue good product development . This video is at the start of car washing. 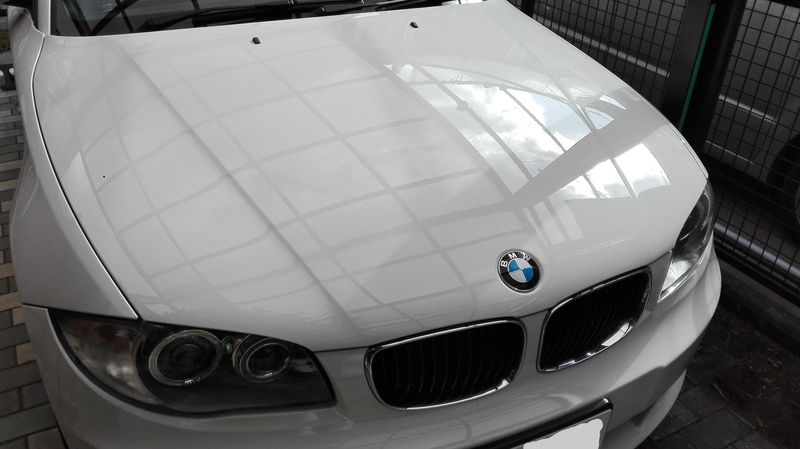 A plenty of oil adhered and water spots are on the roof. 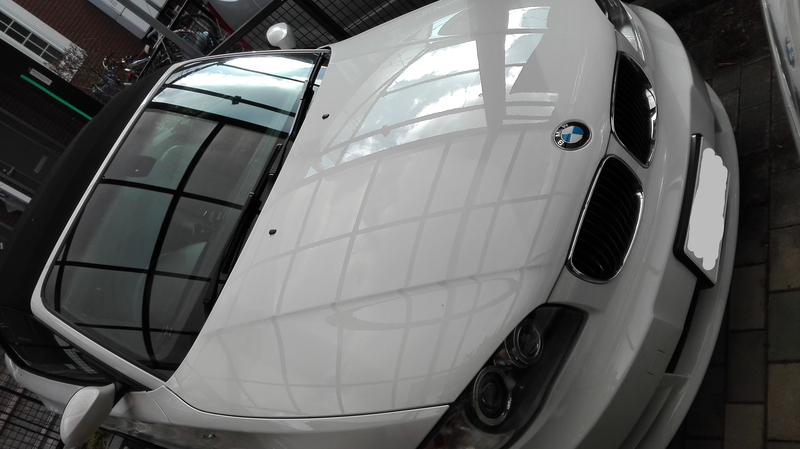 It is 6 years since I bought this car, so I polished whole of it with compound and removed the oil. 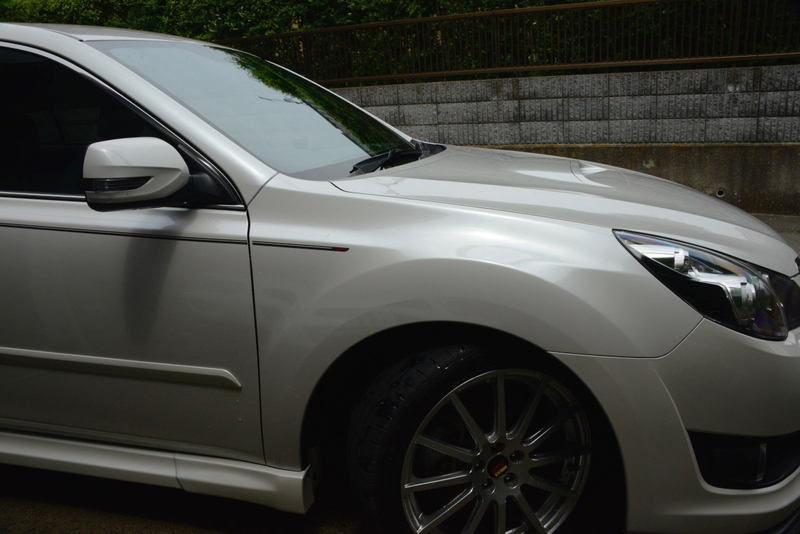 I was really satisfied with the condition of the car body because I spent 2 days for the preparation. It was windy a little, so I applied Pika Pika Rain PREMIUM to my car in the garage. but I could recognize the effect of Pika Pika Rain while I applied it. 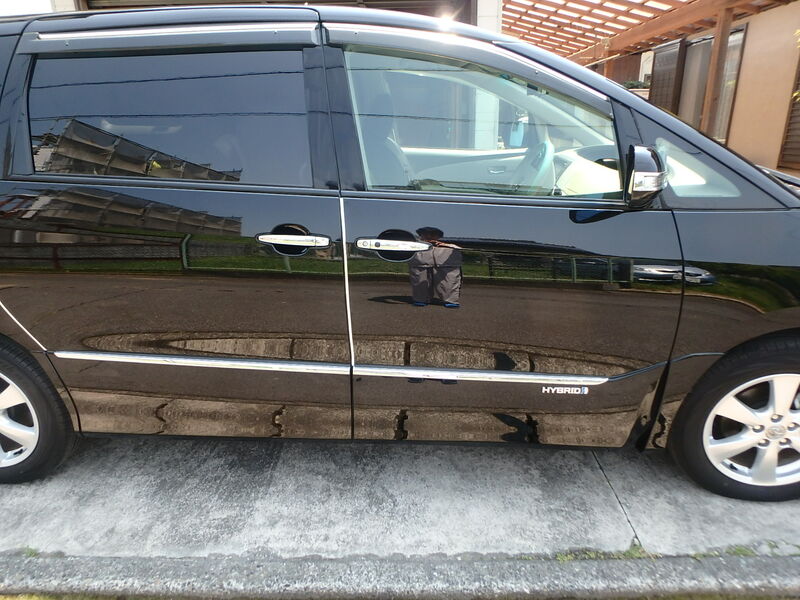 When I bought my car I applied other company’s coating which is type of wiping after drying like car wax. 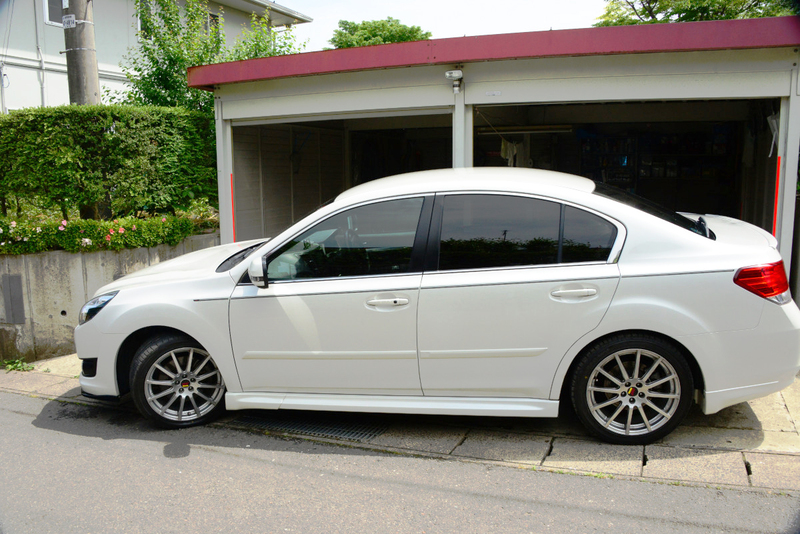 At this time, I damaged my car by wiping, so I was so regretted it. However, three years later, I heard reputations about Pika Pika Rain and I bought it immediately. Then I was very impressed by the workability, the shin and difficulty of getting dirty. and the new product – Pika Pika Rain PREMIUM came out, so I bought it imeedeately. My arms were sore from these works, but the application of the liquid glass coating was easy and I didn’t feel troublesome during the application. 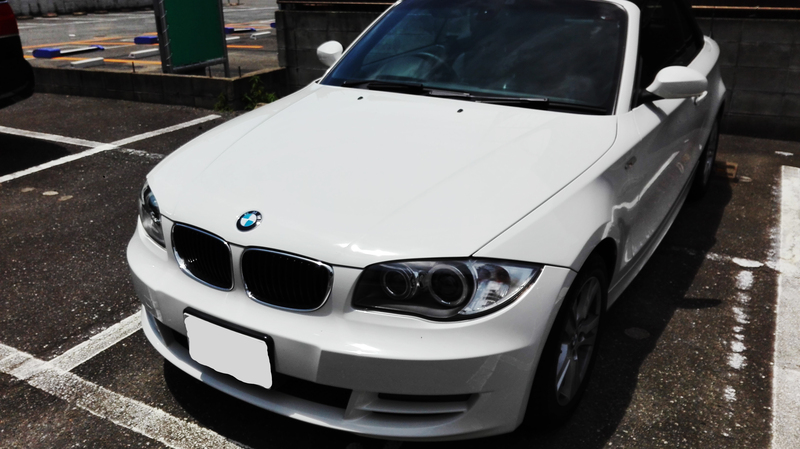 I was really satisfied with the finishing and my labors are crowned with success. the liquid remained pretty much even though I applied it to whole of ESTIMA. Was applying thinly like me effective truly? If NO, I think that they need to mention about it. Anyway, I’m going to challenge to replay it 2 weeks later. however, I also want to smaller and cheaper product for veterans like me.